When I was a kid, I loved Sesame Street, as can be witnessed by the home videos of me, as a baby, dancing around on our very-80s orange carpeting to the Sesame Street theme song. Now, with all of the pretty much opposite of educational children's programs, Sesame Street is still one of the most quality shows for kids on television today. Even more so after the character Julia made her debut this week. 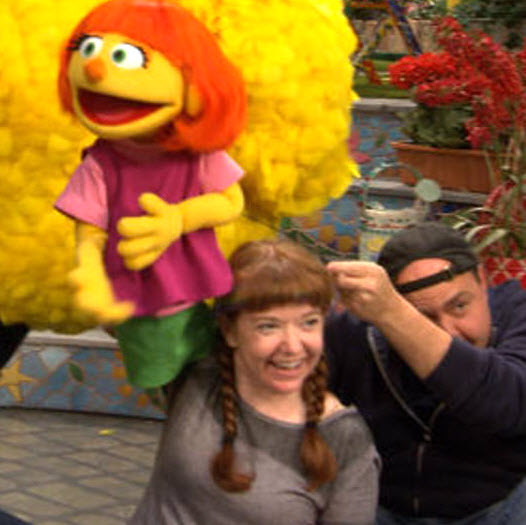 Julia is the show's first autistic Muppet. One YouTube commenter called Julia the "most realistic and sympathetic portrayal of an autistic character I've seen." The orange haired, green-eyed character, who loves to draw, sing and play with her toy rabbit, is a friend of Elmo's, and in the clip, Big Bird mistakes her communication and language problems, both symptoms of autism, as her not liking him. "She does things a little differently. In a Julia-sort of way," says character Abby Cadabby in the episode. "She's a lot of fun." "Ya know, I think I'd like to be a friend of Julia's too," says Big Bird. "She's not like any friend I've ever had before." Julia was part of an initiative launched in 2015 called "Sesame Street and Autism: See Amazing in all Children" and, due to her popularity, the creators decided to bring 4-year-old Julia to life on TV. Louis Henry Mitchell, Sesame Street design director, said, in designing Julia, he thought about "all the kids I've met on the spectrum." "I wanted it to come from some place real - bring her a little bit closer to what kids can relate to," he said. Sesame Street's goal with the character of Julia is to bring children together and teach them empathy for those who may be different than they are. Stacey Gordon of Phoenix, the voice of Julia, said, "I've been preparing for Julia for my whole life. 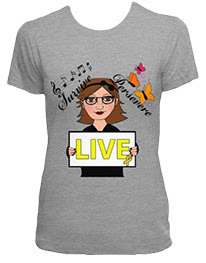 I have a son who has high-functioning autism, and I want to do my best to bring Julia to the world in the best light possible." For more information about Julia and Sesame Street's autism initiative, visit sesamestreet.org/autism.